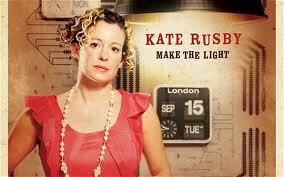 Make the Light is Kate Rusby’s first album consisting entirely of her own compositions. The album also marks the debut of her new band, which features her partner Damien O'Kane on guitar, tenor guitar, tenor banjo and vocals. Album opener, The Wishing Wife, is a pleasantly jaunty narrative set to springy accordion and banjo similar in style to her old favourite The Goodman. It’s followed by the cool ballad, The Mocking Bird. Rusby’s first protest song Let Them Fly is a tilt at self-serving clergy and politicians. She writes strong melodies on songs such as the hymn-like Green Fields and Walk the Road, which features a brass ensemble, a gorgeous horn arrangement and fine backing vocals by O’Kane. Although there’s an absence of traditional songs on this album, as one of the defining voices of English folk, Rusby, has not made a complete departure from her traditional sound, staying well within her comfort zone. All in all, Make the Light is a nice effort but lacks something, nothing grabs you, there’s nothing too experimental. Three men who were found guilty of being accessories to breaching copyright laws in The Pirate Bay trial in April 2009 today lost their appeal against the ruling in a Swedish court. The court upheld the verdict reached by a Swedish judge that Peter Sunde Kolmisoppi, Fredrik Neij and Carl Lundström were guilty of facilitating mass copyright infringement. The fourth defendant, Godfrey Svartholm Warg, did not attend the hearing. Neij was today sentenced to 10 months in prison, Kolmisoppi to eight and Lundström to four. They also face damages of 46m Swedish Kronor (£4.18m) – considerably less than the music and film industries were demanding, although more than the initial fine of 30m Kronor. The defendants are now likely to appeal to the Supreme Court. 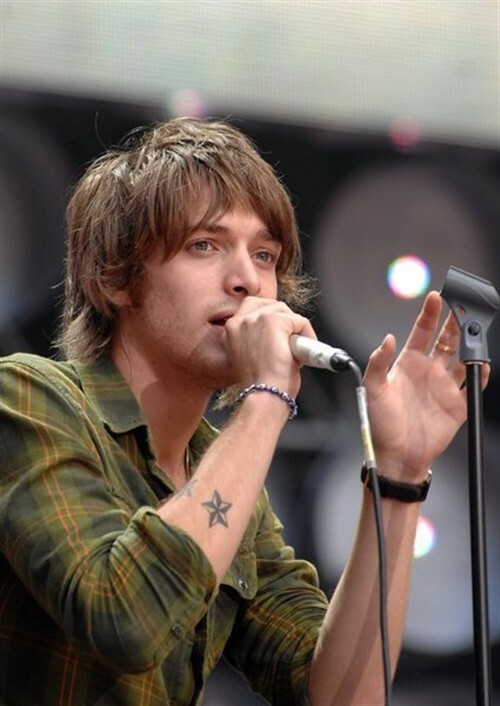 Paolo Nutini is set to headline next year’s RockNess festival, organisers have announced. The Scottish singer-songwriter will close the festival with a “monumental landmark homecoming gig” on the main stage on Sunday (June 12). The event is scheduled to take place on the banks of Loch Ness, Scotland on Friday 10th to Sunday 12th June 2011. Kasabian headline the Friday, and The Chemical Brothers will headline Saturday night, they are the only acts confirmed so far for 2011. Tickets went on sale today (November 26) at 9am. Kasabian and Chemical Brothers have been confirmed as headliners for RockNess 2011. The Scottish event, which takes place at Dores, close to the banks of Loch Ness, recently won line-up of the year at the 2010 UK Festival Awards. Fatboy Slim and The Strokes were two of the big names that played at this year's RockNess bash. Kasabian’s frontman, Tom Meighan, told Radio1’s Newsbeat he was looking forward to their appearance. "It's like booking Disneyland, isn't it? I can see it, it's in front of me but I've got to wait” He said. The Chemical Brothers' reliable mix of electro anthems and beats is also likely to pull in a big crowd. 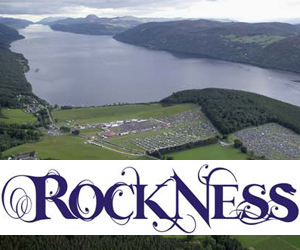 Rockness takes place from 10-12 June 2011 and tickets go on sale at 9am on Friday 26 November. T in the Park festival 2011 tickets go on sale next month. A limited number of tickets for the Scottish festival will be available from 9am (GMT) on December 3. The remaining tickets will go on general sale early next year. The summer event takes place on July 8-10 next year in Balado. Foo Fighters are rumoured to be signed up to headline the festival – although no acts have been officially confirmed yet. Last year Eminem, Muse and Kasabian topped the bill at the event. A bill designed to stem online piracy in the US has cleared the Senate Judiciary Committee and looks set to be passed by the full Senate. The Hollywood Reporter says the Combating Online Infringement & Counterfeit Act would, if made law, “give the Justice Department a new tool to go before a federal judge to ask that a website that it believes is acting illegally be shut down”. Currently, plaintiffs have to seek a criminal complaint which is a time-consuming process. The bill will go in front of the full Senate next week. Singing sensation Susan Boyle has become the first female artist to have a number one album in both the United States and UK twice in less than a year. Her album The Gift reached number one in the UK on Sunday, and has now taken the top spot across the Atlantic. It comes after her debut album I Dreamed a Dream achieved the same success following its release last year and sold more than 10 million copies. Award winning leading music college, the Brighton Institute of Modern Music (BIMM), is partnering with EMI on a new course that will school students in the world of A&R. The BIMM A&R Music Business Apprenticeship intends to develop skills in A&R practices. The course comprises of seven specialist modules designed to integrate A&R into a broad overview of the music industry. As part of this they will have classes with key EMI staff. This is an innovative new initiative where students can be trained in the core area of the music industry from the experts, while the industry can benefit from the opinions of the people at the cutting edge of music. The year-long apprenticeship will be based at BIMM’s West London campus, Tech Music School. On-the-job-training will include scouting for bands, meeting artists, managers and record producers, whilst mentored through the whole process by BIMM and EMI. At the end of the year, students will be assessed on how their A&R abilities have developed. The BIMM A&R Music Business Apprenticeship will commence in April 2011 with a further intake of students in September 2011. Edinburgh's Hogmanay is to be expanded on to New Year's Day with singer KT Tunstall headlining the four-day long celebrations. The singer will perform her own intimate gig - a 3,000-capacity concert - as part of a brand new programme of events for January 1 entitled One Day. The initiative was revealed as organisers unveiled the full details of the city's Hogmanay celebrations and an "action-packed" programme of events surrounding it. One Day, which celebrates the special date of 1/1/11, will see a variety of Scots singers, songwriters; musicians and poets perform in West princes Street Gardens. The special "resolution day" will celebrate home-grown talent. Headlining the gig is the award-winning Fife singer herself, plus performances from King Creosote and up-and-coming bands Kassidy and Silver Columns. The event will be held in Resolution Square, a newly-named event space on Mound Precinct, followed by the One Day Resolution Concert in Princes Street Gardens, which is being put together by Tunstall. The move comes in a bid to entertain the thousands of revellers who are expected to remain in the capital after its Hogmanay celebrations. Organisers expect the new initiative will attract around 20,000 revellers to the city centre on January 1. Pete Irvine, organiser of Edinburgh's Hogmanay, said: "This roll call of talent demonstrates that the power of the word and the song is alive and well in Scotland, and it's great to be able to show that to the huge international audience that we expect on New Year`s Day. It will be one great day in Edinburgh to remember." On Hogmanay 80,000 revellers are expected to enjoy the city centre celebrations. The Charlatans will be performing alongside headliners Biffy Clyro at the Concert in the Gardens on 31 December. The world famous Street Party will feature live music, entertainment and DJ sets on four stages - the West End DJ Stage, Waverley Stage, Mound Party Stage and the new East End DJ Stage. There will be performances from The Coral as well as DJ sets from the Kaiser Chiefs and Goldie Lookin Chain plus the winners of the “Hog the Stage” competition. Organisers said a "spectacular" fireworks display over Edinburgh Castle and the world's largest Auld Lang Syne would mark the transition into 2011. The four-day programme of celebrations also sees the return of popular events from previous years. The Torchlight Procession takes place on December 30 and the One O'Clock Run down the Royal Mile will be held on New Year's Day. January 1 also marks the 25th anniversary of the "Loony Dook" when hundreds of bathers traditionally brave the chilly waters of the River Forth. 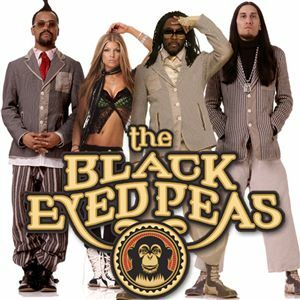 The hugely successful, Award-winning hip-hop group Black Eyed Peas are facing their second plagiarism lawsuit this year. A Texas songwriter, Bryan Pringle, filed papers in federal court in Santa Ana, California on Thursday alleging the group based their chart-topping tune "I Gotta Feeling" on his track "Take a Dive". The musician related that within the span of 10 years, he submitted demo materials of the song to Interscope Records, UMG Recordings and EMI after getting copyright for his song in 1998. He alleges the music executives admitted receiving the demos, but had no interest in signing him as an artist. This latest case comes on the same day a suit against the group dating back to January was refiled; musician Phoenix Phenom launched a copyright infringement case against the US band, alleging the rhythm and lyrics from her track Boom Dynamite were copied in their hit Boom Boom Pow. Both cases are being handled by the same law firm. The lawsuit is seeking damages, including all net profits received by the defendants as a result of the two songs, as well as future credits and royalty payments. 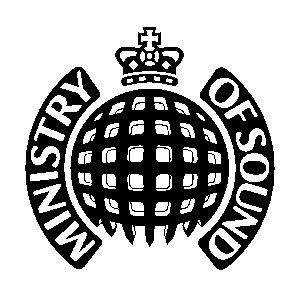 Ministry of Sound has been forced to abandon plans to send warning letters to thousands of BT customers suspected of illegally sharing its content online. The move came after BT allegedly deleted 80 per cent of the customer details it requested be saved pending a court application. 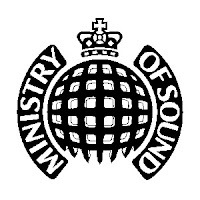 BT agreed to retain personal details of 25,000 of its customers earlier this year, so that Ministry of Sound could pursue them once an injunction on the court order was lifted. However, the music company said that BT had "failed to preserve" the details and has deleted 20,000 of the records. BT announced that, as per its policies, it was mandated to delete consumer data after 90 days and so had deleted 20,000 out of the 25,000 details it had been asked to provide, prompting the music label to drop the litigation. 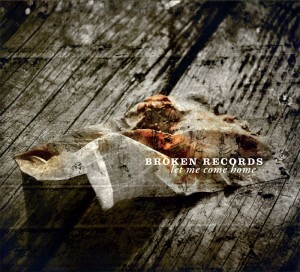 Edinburgh band Broken Records, once described by NME as the ‘Scottish Arcade Fire’, release their second album, Let Me Come Home, only a year after they released their debut, Until the Earth Begins to Part. My only criticism of their debut is how the sheer number of band members involved and use of multiple instruments somehow managed to clog their vision and arrangements. Although they write beautiful, heartfelt songs, they seem to limit their own potential with the complexities of their composition. This time round there’s a slight shift to rock with careful consideration gone into their song structure, as well as plenty of strings and wholesome bass-lines allowing the album to take off where their debut should have but never quite made it. Opener, A Leaving Song starts out with the dirty drone of the guitar and crashing drums, stirring hard-folk and light rock with sensitive vocals all leading the way nicely to the dizzy heights of the soaring chorus, one of the highlights of the album. The duet of Dia Dos Namarados is more Nick Cave than Arcade Fire, with its sombre tones. The other standout track is the emotively melancholy ‘The Motorcycle Boy Reigns’ an obvious choice for a single with its catchy chorus. They up the tempo on ‘A Darkness Rises Up’, taking it to full pelt with delirious energy, indulging in another infectious chorus. ‘I Used to Dream’, is a short, tender piano-led folk-rock song. Bringing the album to a close is the sweeping triumph ‘Home’, a song of aching regret and endless blame, where Sutherland’s impassioned vocal excels. Let Me Come Home shows definite progress for the Edinburgh band who have made a collection of impressive songs that are beautifully written and performed, showing sophistication throughout. It feels like, finally, Broken Records have worked out how they want to make their music sound. 03 - Dia Dos Namorados! Brandon Flowers kicked off his first solo UK tour with a bang at Glasgow's 02 Academy, and was rapturously received. The Killers frontman soon got things underway, opening with the demure On the Floor; he looked a bit surprised when the crowd started singing along. He followed with his biggest solo hit Crossfire. One of the highlights of the night was when the singer - who is on hiatus from his band The Killers - launched into Kim Carnes’ classic 80s track, ‘Bette Davis Eyes’. It was a short gig of only one hour; the atmosphere remained subdued throughout with a couple of nods to his former glory with The Killers, with a version of Losing Touch and a rendition of When You Were Young for an acoustic encore. The night was certainly no flop, however, it was a bit lacklustre. 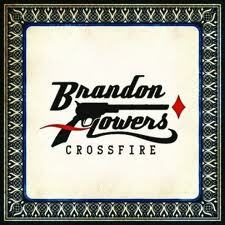 The performance proved that Flowers’ best work is done when he’s with the rest of The Killers.